How will I benefit by having an attorney handle my case? You will benefit from the attorney’s expertise in investigating the matter, preserving evidence, managing treatment and health plans, help you with your property damage and/or to find appropriate medical treatment (that, if necessary, will wait to get paid from your eventual settlement/recovery). An attorney will deal with all inquiries from the adverse adjuster so you can concentrate on getting better. 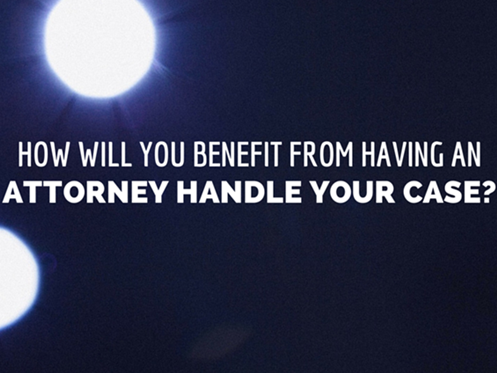 An attorney will document your damages so as to maximize your potential settlement/recovery. An attorney will negotiate a settlement based on experience of what is fair and reasonable compensation for your type of injury claim.